Breeze through security during your next stadium visit with this clever little stadium bag. 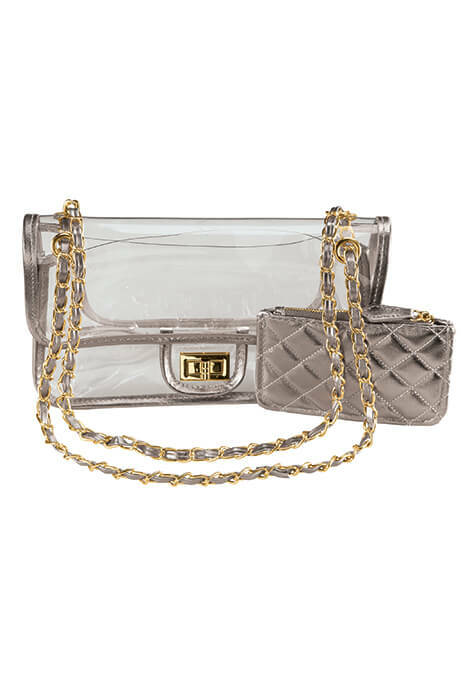 The 2-piece vinyl bag has a clear outer bag plus an opaque inner bag for privacy. Stylish gold metal chain strap. The locking clasp keeps your items securely inside. Event staff can quickly and easily see the contents, so you can get inside the venue faster. Spend your time inside the event having fun, not stuck in the security line.